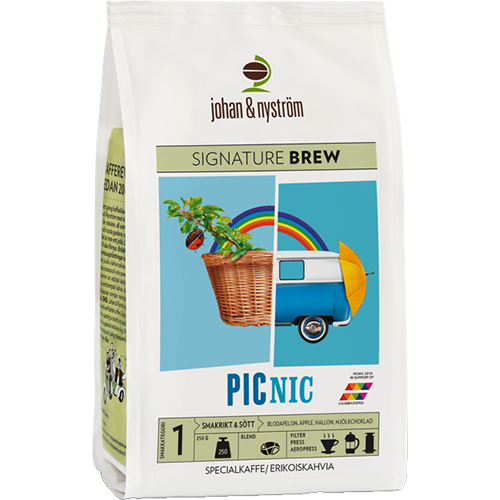 johan & nyström Picnic ground coffee is a tasty and sweet coffee with tones of blood orange, apple, raspberry and milk chocolate. A summer-coffee with lots of aroma and flavor that represents the brightest season in the best possible way. The perfect coffee to take out in the park or to the beach. This year's Picnic is a washed coffee of the Caturra variety, grown at 1450 meters. Coffee farmers are Diana Arevalo, with the Finca El Mirador farm in Tolima, Colombia.